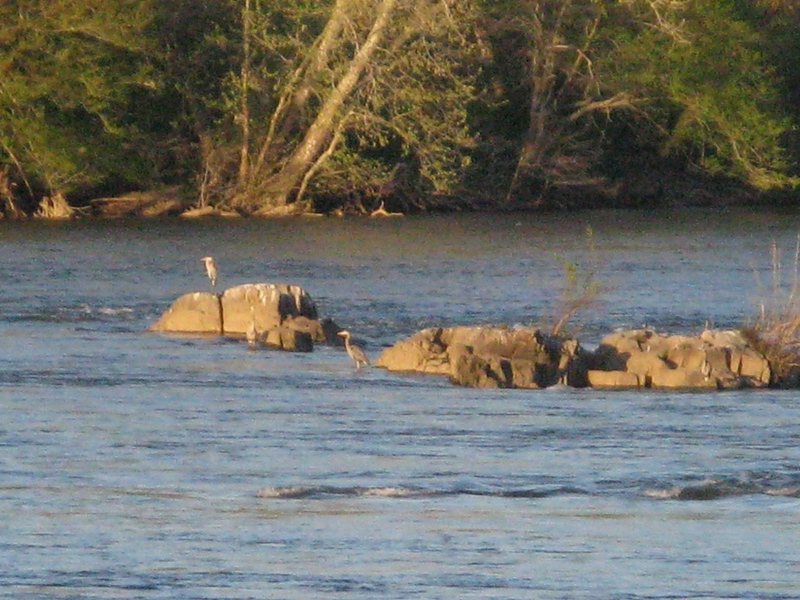 Great blue herons on the Susquehanna River. How many do you see? 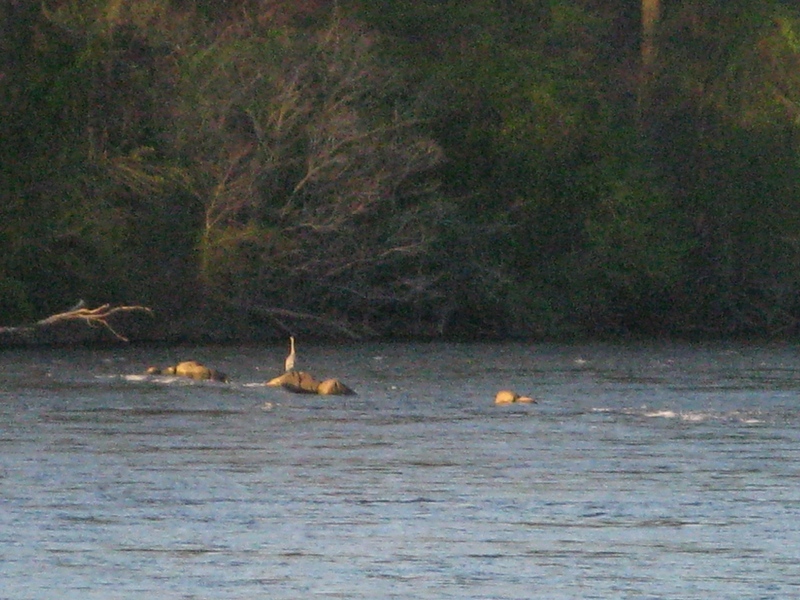 The photo was taken with my zoom lens at 24x; these birds are a half-mile away. With no tripod, I rested the camera on the railing. Another image, same distance and camera setting. 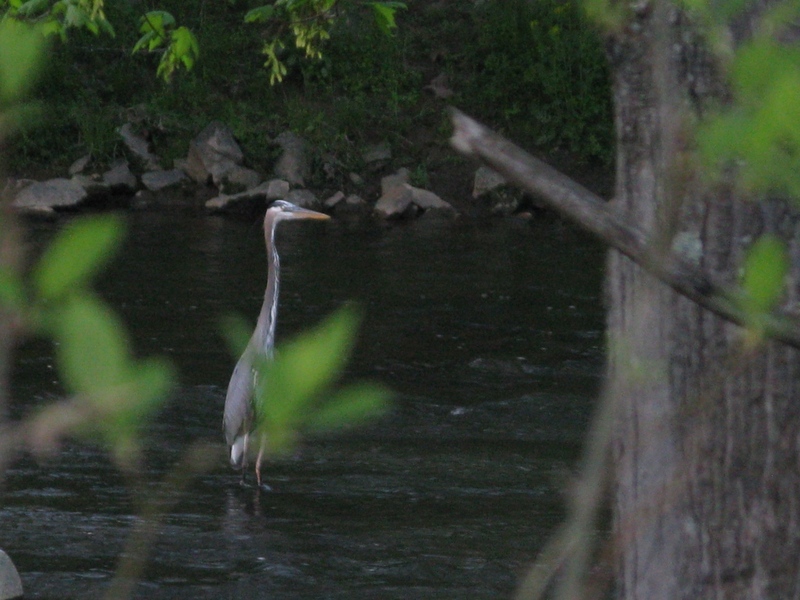 One night on Deer Creek, Maryland, the hunter waits. Here is a great blue heron male in full breeding plumage, displaying those long spey hackles that we would love to tie flies with, but can’t because it’s illegal. 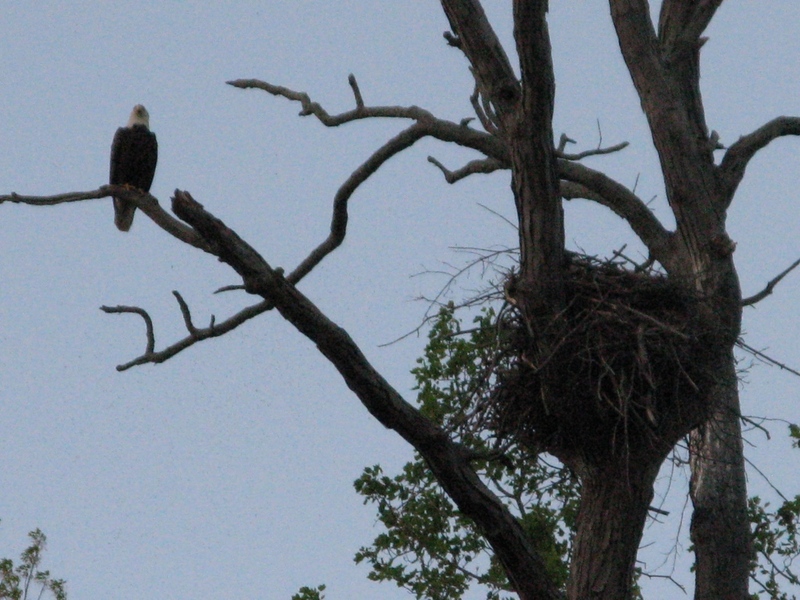 Bald eagle nest along the road to Deer Creek. 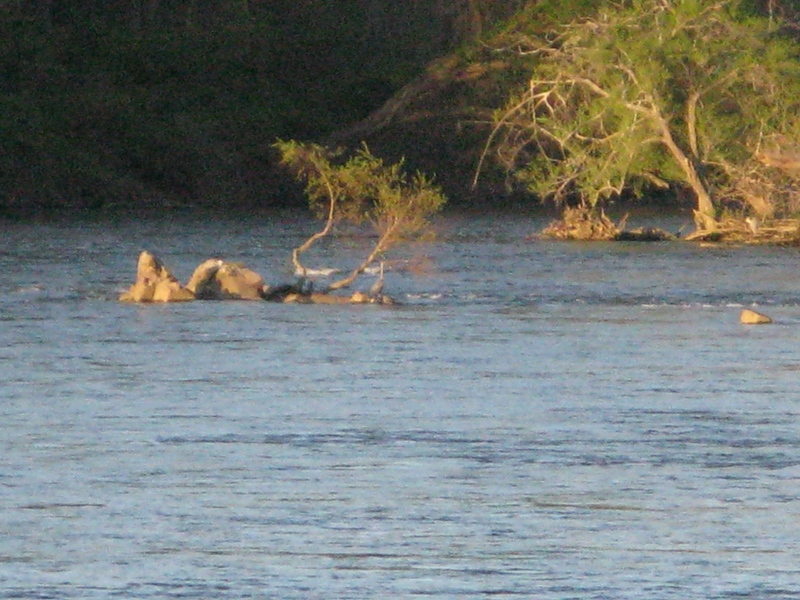 The young eagle’s head can be seen in the nest. 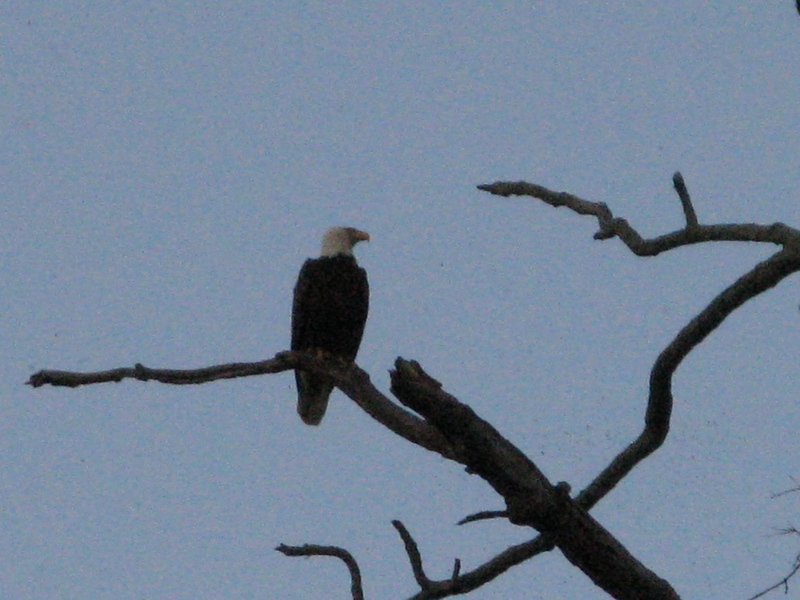 While we watched, the parent flew from the nest and perched on a nearby limb. 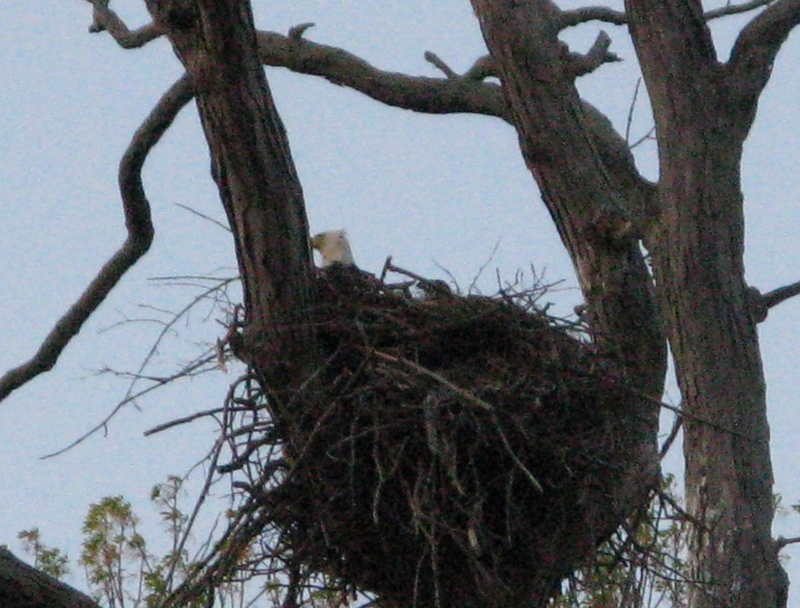 According to my host this particular eagle nest has been here for almost ten years. 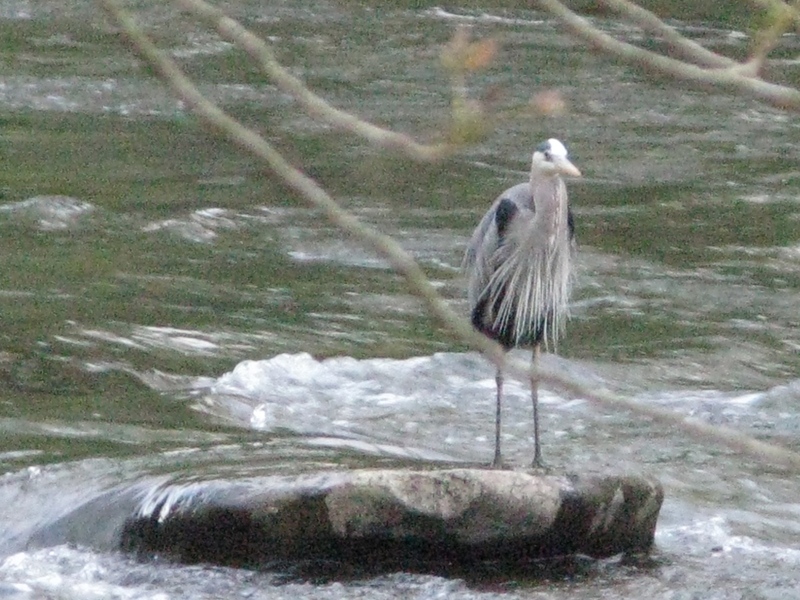 This entry was posted in Fish Stories and Other Tales and tagged Bald eagles, Deer Creek, Great blue herons, Muddy Creek, Susquehanna River.